This climate change primer is intended to give you enough of the global warming science and climate change research that you'll feel comfortable teaching about greenhouse gas pollution or discussing it with your students of any level. Solutions and actions are included, too. will determine our future. This is the defining moment. Even though lots of young children today face challenges that no child should have to face, they still deserve a childhood. After all, the climate change emergency is our problem; it belongs to us adults. So while today's children are going to be impacted (if they're not already) by the changing climate, anyone younger than 10 years old or so hasn't yet developed the sense of agency to do anything about it. That's why teachers of primary (5-9 year old) students have a different sort of responsibility when it comes to climate change. 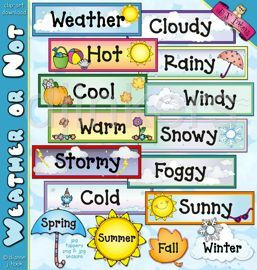 Your task is to help young children observe and learn about the weather (which many of you do already), especially with a view to recording it over time to start seeing the seasonal trends and patterns that make up climate. Another privilege of preschool and primary teachers is gardening with your students. Windowsill gardens. Classroom gardens. School yard gardens. Today's youngsters need to learn to grow food. If you can combine weather observation with gardening, even better. And if you don't know how to garden, learn along with your students! The carbon cycle is a vital part of any climate change primer. Global Greenhouse Warming.com has a simple yet thorough explanation of both the short-term (biological) and long-term (geological) carbon cycles. Most of us learned the hydrological (or water) cycle in school. And we seem to have learned it well. Perhaps that's because we experience the three phases of water in our every day lives: drinking water and doing dishes, wiping condensed steam off the mirror after our shower, keeping our hands away from the boiling hot steam when we're making tea, putting ice cubes in our drinks or skating in wintertime. But we also drew pictures of it (I remember those arrows!) and did experiments with it when we were students. On the other hand, how many of us learned the carbon cycle in school? I know I didn't. When I first heard about the carbon cycle as an adult, I wondered if it had something to do with the cleaning of barbecues! But knowledge of the carbon cycle is at the very base of our understanding of global warming, greenhouse gases, and climate disruption. Help your students learn the carbon cycle, no matter what age they are. 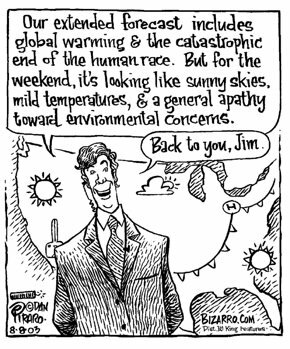 The most important part of any climate change primer is the science. Click on the thought-provoking illustration above to link to a series of free modules from MetEd on the science of global warming, climate change, and other meteorological topics. You will have to register, but it's well worth it (and free). The COMET Program, in partnership with the National Environmental Education Foundation has produced a thorough, clear, well laid out and nicely illustrated set of educational modules entitled Climate Change: Fitting the Pieces Together. The Arctic methane emergency and a zero-carbon world, on SMTV. Only Zero Carbon.org is a website that explains why we must get to zero carbon emissions as rapidly as possible to avoid climate change catastrophe. A climate change primer would be incomplete without some math. Greenhouse gas (GHG) concentrations are everything when it comes to climate change, so understanding the numbers is extremely important. And yet we keep increasing our emissions into the atmosphere (instead of decreasing them). Carbon sinks are failing, so emissions are not being "absorbed" into the Earth's systems, especially the oceans (through the delicately tuned carbon cycle) as efficiently as they used to be. Plus, carbon feedbacks have begun in the Arctic (for example, higher temperatures thaw permafrost, releasing carbon dioxide and methane, which as greenhouse gases lead to further global heating, which leads to more thawing, and so on). What needs to happen to regain the carbon and climate equilibrium that allowed the flourishing of agriculture and therefore human civilizations and cultures over the last five to ten thousand years (since the end of the last ice age)? "Wake Up, Freak Out — Then Get a Grip"
This 11-minute movie is worth every second because it explains carbon feedbacks (and the scariest feedback of all, the destabilization of methane hydrates — the methane timebomb) so clearly. Understanding carbon feedbacks is a crucial part of any climate change primer — for older students and adults. By the way, this movie mentions that "the fate of civilization itself hangs in the balance." It's worse than that. We are heading toward making the oceans so acidic and the biosphere so uninhabitable that the survival of practically all life is now threatened. For teachers and older students, first, please pass on this climate change primer to others. Write to let us know if there's anything we should add to it. Next, it's always election time somewhere in the world ... please do all you can to make climate change and renewable energy an important election issue — THE MOST IMPORTANT ELECTION ISSUE OF ALL TIME — for all candidates and governments, at every level. Follow The Climate Mobilization, Sunrise Movement, and This is Zero Hour. But you don't have to wait for election time. You can write, fax, email, phone or visit your elected representatives right now. Share this climate change primer with them. When asked what would make a difference in Canada, one politician stated, "One hundred thousand people on Parliament Hill." The United States had its Million Man March in Washington, DC. What about a Million Grandparents March? You can start spreading a compelling vision of a sustainable future. Imagine a world based on a renewable energy economy. It would be a world that is safe, clean and healthy (fossil fuel pollution kills millions of people every year, mainly due to respiratory illness), peaceful (no more resource wars) and equitable (no one owns the sun, wind, tides or Earth's core heat). Students of all ages can certainly help to illustrate and talk up this future. According to the Worldwatch Institute's State of the World 2009 report, Into a Warming World, "global emissions of carbon dioxide must reach a peak in less than 10 years and then begin a rapid decline to nearly zero by 2050 to avoid catastrophic disruption to the world's climate." Christopher Flavin, president of the well-respected US-based environmental think tank, explained that "humanity will face grave danger if we don't move forward now." Once again, we discover that we haven't been moving fast enough. Emissions of carbon dioxide will actually need to "go negative" — with more being absorbed than emitted — if we want to avoid unacceptably dangerous temperature increases and impacts. Today, we cannot attain the goal of global sustainability unless we successfully mitigate the impacts of atmospheric greenhouse gas pollution and learn to adapt to its impacts. We are all being called on to "provide unrelenting leadership" if we want to achieve the necessary reductions in greenhouse gases. Indeed, teachers must — and can — become climate change heroes for their students! Please share this Climate Change Primer with other educators.